The Timber Wolf Saxon Conqueror Knife is a fixed blade that’s built to stand up against the Saxon Hordes! 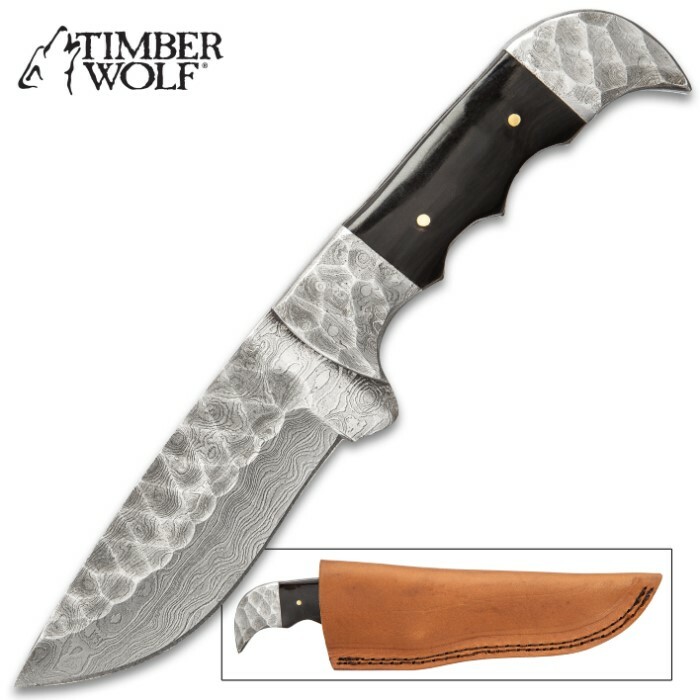 The Timber Wolf Saxon Conqueror Knife is a fixed blade that’s built to stand up against the Saxon Hordes! 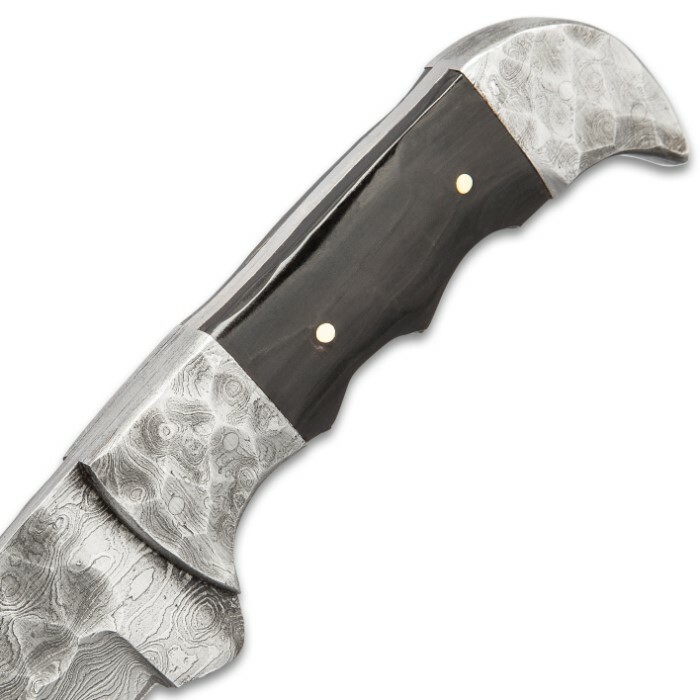 The powerful knife has a 4 1/2”, full-tang Damascus steel blade and the Damascus extends to the half-guard and the curved pommel. The black polished, genuine buffalo horn handle scales are ergonomically curved and are secured to the tang with brass pins. The 9” overall fixed blade slides securely into a premium leather belt sheath so that it's conveniently right by your side.